You witness your personal jeopardy in slow motion. A memorable example of this is the film The Matrix, in which the hero, Neo, could dodge bullets since time moved in slow motion for him. According to the best science, time does not actually slow down for those in jeopardy, nor do their perceptions slow down. What happens is that the stress and novelty of the experience causes the brain to create extra layers of memory, a saturation effect, compared with everyday experiences. According to researcher David Eagleman, “The more memory you have of an event, the longer you believe it took.” So yes, time does seem to slow down in a crisis, but it’s a cognitive illusion. That slowing down effect is important to bear in mind as we encounter the 20th anniversary of the Russia-LTCM financial crisis of September 1998 and the 10th anniversary of the Lehman-AIG financial crisis of September 2008. For investors, those events were the financial equivalent of falling off a tall building or being strapped in during a plane crash. If you lived through them, you’ll recall some hours that seemed like days and days that seemed like weeks. Of course, investors recall where they were and what they did during the absolute height of the panics — Sept. 28, 1998 and Sept. 15, 2008. Most investors may not be aware that these peak panic moments had actually been playing out for over 15 months in both cases. Investors who closely observed the early signs of trouble had ample time to get out of the way of the panic itself. In fact, most investors were oblivious to the early warnings. That 15-month build-up was a real slow-motion event, not an illusion. The September 1998 Russia-LTCM crisis began in June 1997, 15 months earlier, when Thailand devalued its currency and closed its capital account. For several years, Thailand had maintained a fixed exchange rate to the U.S. dollar. Money poured into Thai real estate and resorts to earn high yields with an exchange rate guarantee. When some investors started to pull their money out, a run on the bank emerged. Thailand could not make good on its dollar guarantee and devalued, causing massive losses for U.S. investors. From there the panic spread to Indonesia, Malaysia, South Korea and other nations. There was literally blood in the streets as some were killed in money riots. Markets calmed down that winter, but the contagion returned in the summer of 1998. In August, Russia defaulted on its bonds, devalued its currency and closed its capital account. That led to a global liquidity crisis, which caused massive losses at hedge fund Long-Term Capital Management. The Fed and Wall Street banded together to bail out LTCM, but really to save themselves. Global markets were just hours away from complete collapse when the deal was finally done. The September 2008 Lehman-AIG crisis began in June 2007, 15 months earlier. HSBC had just reported weaker-than-expected earnings due to higher mortgage defaults in the subprime sector. In July 2007, two Bear Stearns hedge funds collapsed due to an inability to roll over their short-term financing of long-term mortgage securities. In August, the panic intensified and the Fed cut the discount rate, the first in a long series of rate cuts to zero. Three major money market funds sponsored by BNP Paribas closed their doors and suspended redemptions. Bank-sponsored off-balance-sheet special-purpose vehicles could not obtain short-term funding. Again, markets calmed down in the winter as sovereign wealth funds pledged billions of dollars of new money to prop up U.S. banks. But the panic returned in the spring with the failure of Bear Stearns in March 2008, followed by the collapse of Fannie Mae and Freddie Mac in June. The panic turned into a global liquidity crisis and reached an apex with the bankruptcy of Lehman Bros. on Sept. 15, 2008, and the subsequent insolvency of insurance giant AIG. Wall Street was facing a sequential collapse of other banks, beginning with Morgan Stanley when the Fed and Congress stepped in with trillions of dollars of guarantees, swaps and bailout money. Both of these panics — 1998 and 2008 — began over a year before they reached the level of an acute global liquidity crisis. Investors has ample time to reduce risky positions, increase cash and gold allocations and move to the sidelines until the crisis abated. At that point there were bargains galore for those with cash. An investor with cash in 2008 could have preserved wealth during the crisis and quadrupled his money since then by buying the Dow Jones index at 6,550 (today it’s around 26,000). Are we in another slow-motion meltdown? 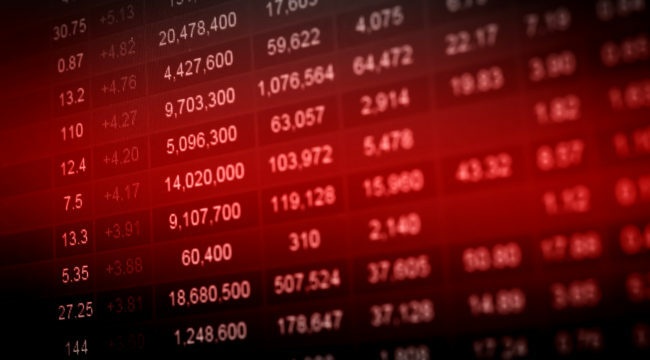 Are markets telling us that another global liquidity crisis is on the way in 2019? It’s impossible to know, yet the signs are not encouraging. Venezuela is an economic and human rights tragedy. Turkey, Argentina and Indonesia, all major emerging-market economies, are in complete meltdown. India, Malaysia, Brazil and Mexico are in the midst of currency collapses. South Africa is in recession. China’s growth is slowing and its debt is unsustainable. The trade war between the U.S. and China is starting to take its toll and will get worse. Then there are geopolitical hotspots like the South China Sea, North Korea, Syria, Iran, Ukraine, Taiwan and others that could turn into shooting wars in little or no time. Investors do not have to take an all-or-none approach. They can keep a hand in the stock market while increasing their allocations to cash and gold. Lower yield on those assets will more than pay for itself if a new liquidity crisis emerges and as bargain prices appear. The point is to act now and not wait until reality catches up to the slow-motion perception.